Soccer is unique among American sports in many ways. One is that the USA has a governing body, the U.S. Soccer Federation, which regulates who may coach at the which levels, depending on the licenses it grants through its coaching schools. 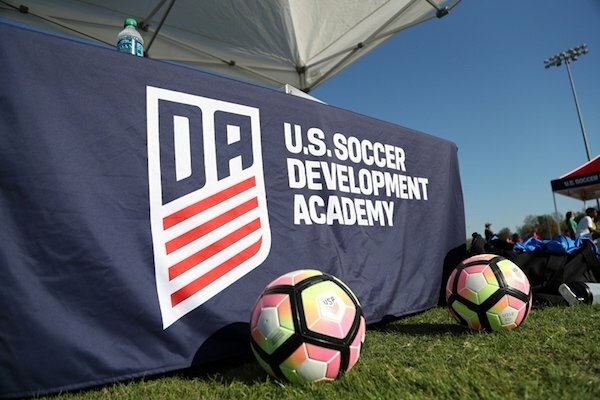 We spoke with U.S. Soccer’s Nico Romeijn (Chief Sport Development Officer) and Ryan Mooney (Chief Soccer Officer) about concerns we've heard from the American soccer community about the licensing process. SOCCER AMERICA: American basketball, football and baseball, which are more coach-centric than soccer, don’t have anything close to the licensing requirements that soccer has. Why does U.S. Soccer have such stringent coaching license requirements? RYAN MOONEY: Part of it is our being a member association of FIFA, and the responsibilities and expectations around education and licensing connected to both coaching programs and referee programs. As a member of FIFA, it’s one of the mandates that are on us as a Federation. This answer is not meant as, “Hey, because we have to.” This is more of a footnote to the answer. Nico can speak to really the reason, the impact, and our intentions with the coaching education program. NICO ROMEIJN: We are trying to create the best environment for the players. And we are talking about players of all levels, including recreational players. A really important resource, when you’re looking at the environment of the player, is the coach. When you do research from players about their experiences, a lot of them are mentioning their coaches are their main influences when looking at their career. And also, staying in the sport or dropping out. When you’re looking at the coaching job, we like to compare it with teaching. If one of your kids is attending a school, and a teacher tells you, “I was a really good student, and therefore I’m now a good teacher.” I think a lot of us will question that, because being a good student doesn’t mean you’ll be a good teacher. That’s the same way of looking at coaching. If you were a good player, or played the game a lot, doesn’t mean you’re a good coach. We think it’s more or less a kind of profession. Of course, on the voluntary side we don’t talk about profession, but you need these basic teaching skills to inspire these kids. And we’re also looking at health and safety, and so on. So, we take it very seriously. Whether recreational soccer and talent development, it’s based on competency. That’s why we think we should have these courses based on the competencies of a coach and make it very serious, because we are serious about growing the game, about increasing the level. But also, we are looking after the interest of the kids. SOCCER AMERICA: If we accept the idea that licenses make coaches better and the courses will make us a better soccer country – the fact is they’re not easy to get. For example, the cost. The cost of getting U.S. Soccer’s higher-level licenses is about five times the cost of a German DFB license. Why are they so expensive? NICO ROMEIJN: We recently did research on the cost of our licenses. The last thing I will say is that we are cheap, but we’re also not the most expensive courses when you’re looking at Europe. So, for example, when you’re looking at France, that’s much more expensive than over here. Our licenses are based on multiple meetings. And it’s also based on what’s happening in between the meetings. That’s also a part of the license. That’s when they put what they’ve learned into practice. That’s a really important period of mentoring. For example, the B license, its four months, but it’s also four months of mentoring from the instructor, so you can imagine having to pay the instructor for four months. That's not cheap. When you’re looking at these prices, we’re not the cheapest, but we also subsidize these costs. There is a lot of investment from the federation. When you look at the real costs, these are much higher than what we get from the applicants. SOCCER AMERICA: I’ve heard many complaints that it’s difficult to get into the courses, because of a lack of availability. Early this year, and recently, when I’ve checked the availability of A, B and C license courses, most of them were already booked full. If someone in California wanted to take the next available C license course, that person would have to travel to Virginia or Illinois. Currently, the U.S. Soccer Coaching Center site does not list any A or B license courses in 2018 that have open registration. And if they were open, they require significant travel for most coaches. Are you able to accommodate all the people who want licenses? I’ve even heard that half the people who have recently wanted to get A or B licenses can’t find available courses. Is that true? NICO ROMEIJN: I don’t know the exact numbers. Let me explain the model, because that’s important to get more insight. Our C licenses and Grassroots licenses are taught by our members. State associations, but also the other members, USYS, AYSO. They are responsible for teaching C licenses and Grassroots licenses. These are open applications, and of course they have to be organized to attend these licenses. But there are no requirements when you’re looking at the backgrounds of the coach. When you’re looking at the B, A and Pro licenses, actually we are also looking at a coaching pyramid. We like to compare that with a player pyramid. So, not every player can become a professional player. Not every player can become a national team player. SOCCER AMERICA: But to coach a Development Academy team, at any age group, you have to have an A or a B, is that correct? SOCCER AMERICA: Why would a C license coach not be qualified to coach an under-12 or under-14 soccer game? NICO ROMEIJN: Because we have developed these licenses based on the context, where they coach. When you’re looking at talent development, we’ve got things in the course. We’re looking at content and also working on the competencies, focused on the context. That’s the reason, because, again, it’s really based on the environment they coach in. SOCCER AMERICA: I’ve heard this: There is a shortage of A and B license coaches, the DA clubs need them, which means that those who have those licenses can demand higher salaries, which is very expensive for the clubs. Clubs that pay the course fees for their coaches say the courses are expensive and that creates another significant hit to their budget. That affects the entire club, not just DA players. That doesn’t seem to be in the best interest of American soccer, does it? [But] if we’re looking at the model, it’s growing more and more. You talk about the traveling coaches have to do for their licenses. We opened our Development Center in Kansas, so that will be our hub when you’re looking at our licenses. More and more, we are growing the model and organizing these licenses, more and more and more, so that demand and supply will come in balance. But that’s a growing model, to be honest. The last thing we want to do is not look at the quality and only look at the quantity: “Let’s grow the number because it’s demand and supply.” No, we think there should be a balance when you’re looking at quantity and quality. SOCCER AMERICA: But if you know the clubs are struggling to pay for A and B coaches, wouldn’t it make sense to say, it’s OK to let a coach with a C license coach a game? NICO ROMEIJN: No. That’s based on philosophy. It’s your starting point. You want to have someone who is really prepared for the environment that he or she is coaching in. And that should be based on your license that’s appropriate with your environment. You shouldn’t make concessions about that quality. SOCCER AMERICA: Under the age of 18, 25% of the USA’s population is Hispanic. How many Latino coaches do you have with A or B, or even C licenses? RYAN MOONEY: At the moment we don’t have demographic information in the DCC [Digital Coaching Center], so we’re not able to tell you, at least at this time, gender and/or any other type of demographic information. We are looking at how we can have the candidates voluntarily identify their information, so we have at least some semblance of data. But we don’t have a definitive answer. SOCCER AMERICA: How important do you think it is that the coaches at the higher levels reflect the various communities in our American soccer, whether that’s the Latino community or the black, African-American community? It would seem to me you’d want to have coaches who can relate to kids, and that can be more likely if the coaches are from those communities. Is that something you agree with? RYAN MOONEY: Yes, the only thing I would slightly amend, is not just at the elite level or higher level. Every gender, every ethnicity, every background … I don’t know that if it will always be the case that officials and coaches and players are of a similar correlation depending on the particular type of identifier or identifiers one might use. But we certainly think leveraging the diversity of our culture and of our population in every segment of how people participate is important and really valuable, for sure. SOCCER AMERICA: My observations have been that there are a significant number of Latino coaches at the grassroots level, but not at the higher levels, A, B, and C. And these are very often coaches who can’t afford to take a couple weeks off, and can’t afford to pay for the room and board, and license fees. Is there any plan from the Federation to go to those coaches, instead just waiting for them to somehow figure out how climb the coaching ladder? To reach out to coaches in under-served communities? RYAN MOONEY: One of the things that is important to note is that U.S. Soccer is a member organization. I think sometimes there is misunderstanding of what the Federation’s capabilities and capacity is as it relates to all four corners or coastlines of this nation. So, we really rely on our members and we really rely on our members’ members, which are primarily the leagues and the clubs themselves, to drive particular types of outreach programs or local initiatives, whether it’s connecting with under-represented or under-privileged populations. Los Angeles and Southern California is the perfect example. At times, whether it’s fair or not, there’s criticism or expectation of what U.S. Soccer doing to unearth the talent there. I think the question is really, what are the clubs doing? Because U.S. Soccer has a limited presence there relative to its members, whether it’s Cal South or AYSO, and other members that do programming. It doesn’t mean there isn’t an interest. And obviously the idea of how can we continue to further subsidize the cost of education at all levels, not just grassroots or elite, but at all levels, is something we will continue to look at. I think ultimately those initial touch points and connections that happen with coaches, regardless of what demographic they may have or what community they’re from, has to start locally for it to be most effective. And that’s one of the challenges we have. The reality is we don’t have a local presence across the country. It’s something that happens through our membership organizations. So, working with them to drive and create those opportunities to connect is certainly a strategy. SOCCER AMERICA: But if you look at the Federation level, at the youth national team coaches, at the A, B, C licensed coaches … If we look at the national team head coaches on the men’s and boys side, we have one Latino. And the last time I checked there was one Latino Technical Advisor [out of 12]. I assume to get into those positions, you have to go through the coaching licensing program. Wouldn't any organization, not just soccer, be interested in having the staff at the highest level reflect the demographics of the country? Isn’t it common sense that that usually helps an organization be successful? RYAN MOONEY: I think there’s certainly a common sense approach to what you’re saying. I think what’s also a challenge, and it’s not to be combative, but it’s worth noting that for the roles, whether its youth national coaches, or previously Technical Advisors, there also needs to be an interest and a level of engagement from a candidate. It may be the case that the opportunity we have to offer or the location of the opportunity, or the compensation, or whatever it may be, is also not necessarily of interest to … and I’m not saying it’s not of interest to the Latino applicant. I share very openly that we have had active recruiting efforts to try and reach more diverse applicant pools and we have found that many times, very unfortunately, that the interest is not there for the opportunity or the job we have to offer. I don’t necessarily think there’s anything wrong. I would certainly be in support of us having a better and more diverse representation across all of our roles in the organization, not just those connected to the field. At the same time, it’s something where those recruiting efforts and the interests have to go hand in hand for us to create those opportunities. SOCCER AMERICA: There’s also the style of play question. What are your A, B and C license courses teaching? How are they teaching us to coach our kids? Are they teaching a Dutch style, a Belgian style, a Latin style? NICO ROMEIJN: Actually, none of them. We talk about style of play. We are looking at the B license, the A license, the Pro license. When you’re looking at the C license, and below, Grassroots licenses, we are teaching them player development philosophy of maximized potential of players, based on having an enjoyable environment. When you’re looking at style of play, at the B and A and Pro license, the B license is based on the best development environment. The A license is actually based on choices from clubs and coaches. So, we’re trying to empower coaches and clubs to think about, OK, what’s our style of play? What’s really matching with the DNA of our environment and how do we translate that to the field. So, it’s not the Federation is mandating a certain style of play. When we look at our national teams, we also want our national teams to play in a way that’s based on the DNA of the soccer culture of the U.S, so we expect clubs to do the same with their coaches and their players. SOCCER AMERICA: If I’m coaching in an area where a large number of my players are Latino who have grown up playing a Latin style of soccer because of their culture, their parents, their uncles, or the soccer they watch, will I be able to coach them in a way to bring out the best of them after I get my U.S. Soccer licenses? NICO ROMEIJN: Yes, correct. Exactly. Only what we will do during these licenses is challenge the candidates all the time about, is it the best development environment you’re creating? But the style, that’s up to them. To give an example, to play small-sided games, with the younger players, we think that’s a good development environment, so we challenge you to think about, it’s better to play with young kids, 4v4 instead of 10v10 or 11v11. RYAN MOONEY: I would add that sometimes it’s a misconception that somehow the curriculum in coach education teaches coaches to only coach a certain way or players to play a certain way. It’s far more a process of guided discovery of what your philosophy or principles are and how are those things being applied, whether it’s a training session or a game environment that maximizes the development of players. Those concepts transcend whether it’s style, information, principles, characteristics, profiles, etc. -- it’s more we’re looking for the candidate to be mindful of how he or she and what he or she is creating in the environment and how it aligns with developing the players. That is an applicable exercise -- whether you put the players out there in 4-4-2 or 3-4-3 or we’re going to press or we’re going to counter, or we’re going to play wide or whatever it is. It’s really more the exercise or the processes that the coach or the candidate is exposed to and how they bring that in to their environment -- vs. there’s only one way to play we’re all playing number-number-number now, and no questions asked, no deviation. It couldn’t be further from that. SOCCER AMERICA: I believe it was in 2015 when U.S. Soccer stopped allowing candidates to skip lower level U.S. Soccer if they had diplomas from the NSCAA (now United Soccer Coaches). Why was that? Wouldn't that make it more convenient for coaches to get into the pathway for the higher-level U.S. Soccer licenses? RYAN MOONEY: It would. But it’s philosophical, because their [United Soccer Coaches, formerly NSCAA] curriculum approach isn’t aligned with ours. That’s like you’re being taught French, and you’re saying, hey, it’s a Romance language, so it should be equivalent to my Italian course. When in reality -- there’s no doubt that there are some connections between learning a language, syntax or verb conjugation – but we felt plain and simple that the direction we were heading and we have since implemented, was not, and has not been, and is not consistent with the philosophy and methodology that was used by the NSCAA [United Soccer Coaches]. So effectively you have an apples to pineapples comparison. We didn’t think it was appropriate for those equivalencies to remain intact. SOCCER AMERICA: Isn’t there something to be said for coaches in a country like ours to be educated differently, instead of putting all your eggs in one basket? I’ve been around long enough to see that every few years the “right” way to coach changes. Even the Federation has constantly changed its curriculum. Are you guys so confident that the way you’re teaching is the right way? The way we should be taught for a long time? NICO ROMEIJN: We are confident that we are doing it the right way. But we also know it’s not the only way. Of course, there are more ways of teaching. It’s OK when a coach says, I want to do my licensing with [United Soccer Coaches] or in Europe. I think that’s the choice of a coach. But, actually, we’re talking about U.S. Soccer licenses, which are based on the Federation’s courses. But we acknowledge there are different ways of teaching. RYAN MOONEY: Whether it’s United Soccer Coaches or UEFA or La Liga or Positive Coaching Alliance, etc., etc. There are all sorts different opportunities for people to continue their professional development, and to learn and to grow. And however that does or doesn’t apply to their work as a soccer coach, we are understanding and supportive. That’s a lot different, however, providing an equivalency – and saying that thing over there is equal to what it is we’re teaching for a U.S. Soccer license. NICO ROMEIJN: To add to that, we would like our members to be involved in teaching courses. So, the thing we are doing is building that network of instructors based on educating instructors from different members and building a big network of instructors all over the U.S.
And based on that, we hope we will be in every corner of the U.S., so people can do their coaching coaches maybe in their club environment or at least close to it. RYAN MOONEY: That goes back to your comment, Mike, about the availability of the C license. Without getting into the details, I’ll take your comment at a more macro level. That hey, there isn’t an operator, or there isn't something local, our hope would be that whether it’s Cal South, or United Soccer Coaches, or AYSO, or U.S. Club Soccer, whether it’s any of our members, that have instructors who are trained and certified to teach our courses, they have the ability to provide those offerings. And obviously that’s really key to meeting the supply and demand, and whatever it may be or not be, all across the country. That’s the core of our strategy, to be able to license more and more coaches, as effectively and as competently as possible. 43 comments about "Nico Romeijn and Ryan Mooney on U.S. Soccer coaching education: the Federation's intentions and its capabilities and capacity". Bob Ashpole, August 15, 2018 at 7:30 p.m. I credit Romeijn for having good intentions. As to the point about NSCAA being inconsistent with what USSF is teaching, that is only because USSF's coaching education program has been constantly redesigned and previously USSF managed a licensing program not an educational program. As best I can tell the USSF program, particularly the "grassroots" levels, is designed around a series of compromises. I am sure USSF feels they made good choices on the compromises, but players widely vary. What works well for novice 6 year olds is unlikely to work well for elite 12 year olds, who by definition are training and performing above their age level. I also question USSF's love affair with "guided discovery" which is often understood by many as being the Socratic method. A self discovery method works on the assumption that the student has enough personal experience from which to draw general conclusions. Hands-on trial-and-error learning-by-doing is more effective for students without much personal experience to draw on. Guided discovery works well for teaching experienced coaches, but 6-year-old players? That and the play-practice-play formats are the most influential compromises USSF has made. What works well with 6 year olds is much less efficient with 12 year olds in terms of the respective player development objectives. USSF doesn't just provide guidance to the member organizations on the lower licenses, USSF dictates everything in the course contents. Perhaps less micro management at that level would be more efficient use of USSF resources. Time will tell how effective USSF new approach is. Very interesting discussion. stan kull, August 15, 2018 at 9:15 p.m.
Based on their responses, they come across slippery and evasive. Ric Fonseca replied, August 15, 2018 at 10:16 p.m.
Stan kull, your comment is very, but VERY spot on!!! I am still befuddled vis-a-vis their extremely myopic view of the Los Angeles, So California region. I am befuddled to a point of dismay, and yes, anger because having lived the experience, having gone through the early 1970's US Soccer licensing courses, as well as having managed three licensing programs, late '70's-early '80s, etc., etc., etc., their approach - rather their answers obfuscate the reality of what Mike Woitalla asks. I will leave this article alone for a day or so and come back and re-read it, and then maybe something may have changed in their answers/statements/comments that I may have missed. Kent James, August 16, 2018 at 12:02 a.m. While I appreciate the efforts of the USSF to create a coordinated coaching curriculum, there is an inherent flaw with requiring that certain youth program coaches be required to have A or B licenses, and then restricting their ability to get those licenses. Making the courses difficult to get into doesn't help spread the ideas the USSF is trying to promote. I also don't understand the need for professional teams to require coaches to have professional licenses; at the professional level, success is determined by what happens on the field, not the coaches accredation. Supporters would rather have an unlicensed coach who can win games than a licensed one who can't. The USSF should put it's effort into education of youth coaches (C and below), not a winnowing process for high end coaches. Bob Ashpole replied, August 16, 2018 at 12:48 a.m.
Kent, what coaches of the younger kids need to teach is fundamentals and techniques for physical movements as well as for ball skills. Coaches are expected to know these from playing the game. they are not taught at the license classes and very little at the USC courses. Generally they teach how to coach, not how to play. The licenses are standardized by FIFA. FIFA drives the general Pro, A and B license structure. USSF does make it more complicated and expensive than it needs to be, but the Pro, A and B licenses often do take a lot of time in other countries. I too have concerns reflected by Mike's interview questions, but USSF staff are going to be loyal to USSF policies. Their defensive reactions are expected. Kent James replied, August 16, 2018 at 9:55 p.m.
Bob, I took the USSF Youth License course (taught by Sam Snow), and it was exceptionally good. It needs to be made more accessible (it cost me something like $600 and a week's time, which is a lot if you're coaching as a volunteer, which many youth coaches are). It approached soccer for kids (U12) from the perspective of childhood development, not getting the kids to play like Barcelona at U8. It helped coaches understand the importance of creating an environment where creativity can flourish. Spreading that gospel is where the USSF should be focused. I object to the idea that a A or B license should be restricted; if someone can take the course and pass it, why limit the numbers to do that? Charge more for them (so they're not subsidized), but let people take the courses. Pro teams should not hire coaches based on their licenses, so why make them scarce? While I understand that FIFA has license requirements, we should push back on that (at the professional level). Youth clubs should be required to have licensed coaches, but they should make those licenses accessible, so more people can learn and spread that knowledge. s fatschel replied, August 17, 2018 at 12:42 p.m.
Kent, I had Sam Snow as well for the National Youth. He is outstanding. Mike Fredsell, August 16, 2018 at 6:39 a.m. I am 66 years old and have my E license and now I have to teak the D if I want to keep coaching. I have been a high school coach for 20 years and a club coach for 26. I'm at the point where taking another license course is to much for me, so does that mean I'm done coaching at the club level?I still enjoy coaching and would hate to think that I'm being phased out by the USSF. The club I work for put me in charge of licensing for our coaches and the feedback I'm getting from our state associaction is that the D license is to extreme for the grassroots level. Also right now they are working with the USSF on what the requirements are for the D after we take the modules. If you go by the old D license it's way to much for the USSF to ask coaches to do in order to get their D. A lot of coaches are not keen on whats happening so the USSF is going to lose a lot of good qualified coaches. Nick Valenti replied, August 16, 2018 at 10:47 a.m. Regardless, of age we (coaches) should never stop learning. The way kids learn and develop can always be improved. These “grassroots” courses are very thought provoking. It can only help when we can collaborate together, share experiences, listen to current up to date information so we can help the players develop to their fullest potential. Bob Ashpole replied, August 16, 2018 at 11:57 a.m.
Nick, either your concept of coaching is mistaken or you are not saying what you are thinking. Coaches don't change how kids learn. We can change how we coach to improve our effectiveness in reaching our coaching objectives. While there have been some scientific advances in understanding the learning process, that really doesn't change what the coaches have learned from practical experience over the years. Coaching is like engineering. Knowing what works is more important than knowing why it works. I believe that how to develop players is not a secret and hasn't really changed for 30 years. The USSF changes in coaching education are not a reflection of new information. They are the reflection of a new strategy including USSF's goal to have every coach training every team the same way, which is why I talked about USSF making compromises, not applying new information. s fatschel replied, August 16, 2018 at 5:18 p.m.
Nick I think your spot on. Besides constant learning (concussion advancements, dynamic stretching as example of changes), the exchange of ideas, chance to meet the experts and heck of a lot of playing over a week make the courses worthwhile. Bob Ashpole replied, August 16, 2018 at 7:01 p.m.
s fatschel you are not being very clear either. What do you mean exactly by "concussion advancements, dynamic stretching as example of changes"? Best coaching practices have not changed. In the 60's some people were using static stretches as warmup exercises without realizing that they fatigued muscles. Some people still do, but it is not a best practice. People have been warming up with dynamic stretches for 50 years that I know of. Best coaching practice regarding a suspected head injury has not changed. Some coaches ignored player injuries and some still do. It isn't the best practice though 50 years ago or now. Medical practices in diagnosis and treatment have changed, but that is not coaching. All of this information is readily available to interested coaches. You don't need to take a license course to educate yourself. Bob Ashpole replied, August 16, 2018 at 7:20 p.m.
Just so it is clear, I am not saying coaches need to educate themselves about the game and coaching. I am taking issue with the notion that coaches with 30 years of experience need to be re-educated because coaching and the game has changed. Bob Ashpole replied, August 16, 2018 at 7:24 p.m.
Wow, did I mess that last post up. I will try to get it right this time. I think coaches need knowledge of the game and of coaching. I don't think someone with 30 years of experience needs to be re-educated. Coaching is not like the IT business where every three years there is a new generation of technology to learn. frank schoon replied, August 16, 2018 at 9:12 p.m.
s fatschel replied, August 16, 2018 at 9:24 p.m.
BA As you know there are 4 areas to coaching, if you feel you have nothing to learn about any of those areas, or from the others that attend, or the instructors, by all means don't go. IMHO This comes down to personal philosophy on life long learning and attitude of wanting to learn and improve oneself. Also (off subject) your comment about engineers not needing to know "why" is as an odd example. Just consider the thousands of engineering papers published every year based on original work or the all the new technologies emerging thank to engineers who asked "why". Bob Ashpole replied, August 16, 2018 at 11:09 p.m. The four aspects I suspect that you are referring to are the 4 aspects of a player (technical, tactical, physical and mentality). Those are not a description of the coach's role. The most recent material from USSF (current this week) is that there are six functions of a coach. As you get older you realize that people talking about soccer use different words and different languages, but the ball is still round no matter what words people want to use. The verbage is not what is important. You seem to be implying that I am not a student of the game and a student of coaching. That implication would be incorrect. Jack De Selm, August 16, 2018 at 9:22 a.m.
Having taken and received the "C" and "D" along with the USC "National, Advanced National, and Premier Diplomas," I would recommend the USC courses as a thorough and enjoyable learning experience. Frankly, I wish they would add more courses. The United Soccer Coaches courses and instructors came across as being more interested in teaching the material, along with how best to present the material so the player would better understand it. At the time I took those courses, the USC course curriculum was preapproved by the USSF. I distinctly remember the last day of the "C" instruction and testing when the head instructor told all the coaches that the USSF was thinking about dropping their education program and allowing aonther organization (USC?) to take them over. Something about "money." How things change! humble 1, August 16, 2018 at 9:51 a.m.
Three words. Lack of accountability. It's a disease and USSF has it. s fatschel, August 16, 2018 at 10:21 a.m.
His non-answer on C licenses coaching U12 tells me they don't trust the state run courses. My experience however is that the C instructors were excellent and highly respected in the soccer community. One solution would be to offer C+ , a weekend adder at a national site. frank schoon, August 16, 2018 at 10:26 a.m. This whole coaching license thing is a bureaucratic nightmare. It is all about POWER, CONTROL and MONEY, run by individuals who are great on the administrative side of the equation like our current leader and president,another administrative wonder, of USSF soccer. It has become a "Cottage Industry" run by individuals who have never contributed anything to the game and have build up a base whereby they not only can scratch each other's back but also protect themselves at the same time. I've never acquired a coaching license for even back in the 70's I began to see the flaws of an institution that could have great potential in teaching future coaches and up to this day I feel haven't been proven wrong. For example, when I seriously thought about getting a license at that time, I noticed those who obtained C and B licenses ,technically speaking, couldn't trap a bag of cement or take on a lamppost one on one....I mean Pleazzze. And worse when Teofilla Cubillas (back in the '70's) one the world's best players , a world cup star, went to the USSF coaching academy to get a B-license was flunked by a bunch of Nitwit college coaches who perhaps thought he failed to dot the i's and cross the t's on his exam....another Bureaucratic Nightmare run by Administrative types . The statement made by my own countrymen, Romeyn, about not allowing a C-licensed coach for he a needs a B license... sums it all up. Somehow, the world would end if you allow this C license coach to coach.. Realize this Nitwit, Romeyn, comes from my country ,Holland, whereby you're not allowed to fart without having a license....talk about a bureacratic country. Look how great Dutch soccer has become...it is a disaster....but we keep bringing over these administrative Nitwits from the Dutch KNVB coaching academy who themselves are responsible for this Dutch soccer malaise. This Romeyn guy would be laughed out of town if he ever applied for a job at Ajax, Feyenoord or PSV, , but , man , he is tops here....good lord. bad that , perhaps, the coaches need to go back to school and get PRO-Coach license....Really? No ,the real story was some bureauratic Nitwit at FIFA, an administrative type, like our buddy Cordiero,decided and said, "Hey, wow, lets get a pro-coach license, that would look good, and besides it gives us more control too". Wooden Ships replied, August 16, 2018 at 11:35 a.m.
With each passing month, year, I feel we are going farther and farther astray. Frank, your Teofilla example/remembrance was a predictor for where we are. How embarrassing that was. I guess I along with several others here were fortunate in that our mentors, coaches, peers could walk the walk with ball. None had licenses and mostly all volunteers. What they had was real experience playing the game. This was a good interview with some tough/good questions. Ric, I haven't seen much change in decades as you referenced. Those with the soft touch and composed dribbling will continue to left out. USSF has no answer to remedy the style of play divide. Bob, out of a moment of weakness-haha, I took the grassroots and 4V4. Play-Practice-Play and the three coaches they used were good. What keeps coming to mind is that players if only touching the ball in training sessions is the extent of their time with the ball, it’s never going to be enough. I will always value more, pickup, free, street development over structured sessions. I believe there are many people with good intentions trying to improve our players and I applaud them. There is a trend in culinary preparation, I can’t think of the name off-hand, where they break a dish down into its most basic elements. Makes me think of making soccer players, not sure you can make one, they make themselves, they emerge. With all the licenses and clubs, I’m suspicious that we have discouraged 10 fold quality talent than produced. Style of play and the eye test, gives me all I need to select talent. RIP Aretha. Bob Ashpole replied, August 16, 2018 at 12:23 p.m.
"...they make themselves." I like to say that elite soccer is self-selecting. The best players are the ones that parents can't stop them from playing even if they wanted to. Since I retired, I got the F and E licenses and several low level NSCAA diplomas. (Introductory Futsal was interesting because while I played different types of indoor, I never played futsal. You might find it interesting too.) I am constantly disgruntled by about 90% of the content on tactics, but really impressed with the USSF and (now) USC instructors. Maybe I was just lucky. What surprised me most about USC and USSF is that I see the same people are actually doing the coaching instruction in both organizations. In other words while the two organizations have very different managers at the top, the people doing the coaching are the same. That is really ironic considering the lack of cooperation at the top of the two organizations. About 15 years or so ago I became very impressed with the coaching education staff and work at USYSA. The expertise of some of their staff was recognized world wide. They put out some great information and were very accessible. USSF, however, reinvented the wheel without using that great knowledge base, beginning with "the curriculum." What a waste of a resource and needless duplication of effort. But that is what bureaucracies do. humble 1 replied, August 17, 2018 at 7:20 a.m.
Frank, you are spot on. The problem with the license process - here - is - and I've seen it with my own eyes - completely green coaches - can get the license. You get a 'B' license coach setting up drills off youtube - with absolutely no relation to the make-up of his team - the level of the players - the roles he needs to teach his kids to effectly play - just drills - because he has no experience developing players - but he's got the 'B'! It is exactly the opposite of what Romeijn says, it is not at all an assurance of quality. This is almost assuredly one of the biggest challenges for the DA program - since they enforce this licensing requirement upon themselves - and not surprisingly - effectively shoot-self-in-foot! Bob Ashpole replied, August 17, 2018 at 12:16 p.m.
Humble 1, USSF has tightened up the eligibility waiver for the B license. Minimum is now 5 years playing experience with a senior national team or in a FIFA recognized Div 1 pro league AND 5 years of coaching experience. You might not like what you see, but the B candidates have experience. frank schoon replied, August 17, 2018 at 12:26 p.m.
Kevin Leahy, August 16, 2018 at 8:11 p.m. It never does surprise me that people think you need credentials to do anything. It happens in business and almost everywhere. I recently attended an MLS game that, had an opportunity for a tactical adjustment after 5 minutes and was never made for the entire match. I have coached with and against coaches @ the youth level that, had no licenses who would have made the adjustment immediately. A proven track record doesn't need a license. Franz Beckenbauer never had a coaching course but, he only one 1 World Cup final and led his team to the final in another. frank schoon replied, August 16, 2018 at 9:22 p.m.
Kevin, neither did Cruyff. The Dutch KNVB forced the issue of Cruyff needing a license to coach Ajax. He told them , you either give me a license or i’m off to Spain, for he wasn’t about to sit in a classroom listening to some rum dum telling him how the game should be played. Asked how do you study the game , Cruyff answered, “if you know the game , you don’t have to study it”. Kent James, August 16, 2018 at 10:14 p.m.
Having a license doesn't make a good coach, nor does not having a license mean you don't know how to coach. Licensing is a way to expose coaches to the federation's "best practices". There is no federation police force (that I know of) that goes around to practices and games and arrests coaches who don't use their "best practices", so if one does not buy into what the coaching courses are selling, one does not have to use it. The federation requires clubs to have licensed coaches to make sure as many coaches as possible take their courses, and spread the use of best practices. This is an admirable goal. But it is a goal that would be furthered by making the courses inexpensive, offered frequently and in as many different areas as possible. Subsidizing courses for people who are often volunteers (and even if paid, are usually not wealthy) is one way to make them more accessible. Expanding the universe of people who have licenses could end the need to use requiring clubs to have licensed coaches as a means of getting coaches to attend the courses. frank schoon replied, August 18, 2018 at 10:55 a.m.
Kent , there is nothing wrong in taking coaching courses. I'd say knock yourself out taking them and I wish you all the best. And if these courses can help you and believe that you can have a one up on the other coaches you coach against, please feel free to take them. I believe in letting the market decide if you are successful as a coach not some arbitrary group on whether you are capable of coaching. This is where I draw the line when they employ restrictions and prevent you from coaching because you lack a certain license or any license at all. Let the market decide who to weed out about the capability of coaching. If parents like you as a coach and they believe you are doing a good job, that is all that is necessary as far as I'm concerned. If were to run a soccer organization I would allow anyone to coach regardless of license status. I can tell who is a good coach (facilitator) or not. Don't forget the youth in fact don't need coaching in the first stage but someone who loves the game and is able to facilitate their technical development. In my street soccer days there were no coaches telling you what to do , instead you learn from others by playing and watching them ,and by doing. Real coaching doesn't come into play until you're about 16 anyway. R2 Dad, August 17, 2018 at 2:02 a.m.
"SOCCER AMERICA: But if you know the clubs are struggling to pay for A and B coaches, wouldn’t it make sense to say, it’s OK to let a coach with a C license coach a game? You shouldn’t make concessions about that quality." Wait--Quality is never mentioned in the style of play in these coaching courses--ever! Nico is equating coaching quality with coaching level but these two ideas are completely unrelated in the USSF. What we have is the soccer equivalent of moral relativism. Everyone gets to choose to coach their flavor of kickball, and it doesn't matter because we're style-agnostic? That's not just wrong--that's wilfully, arrogantly ignorant. frank schoon, August 17, 2018 at 10:08 a.m. There is a reason why Johan Cruyff was vehemently opposed to licensed coaches training the youth. By having a licensed program , you allow anybody to train kids regardless of experience as long as he has a license. Cruyff preferred real soccer players teaching his youth at Ajax. He wanted ,hands on, good soccer players, not someone that comes out of the classroom programmed and groomed with the theoretical garbage. There are plenty of even good amateur players that can help the kids. Who would you rather have teaching and guiding your kid a Teofilla Cubillas (who flunked B-license), or some num nut with a C or B-coaching license. Because the dutch KNVB had a rule that you must be licensed, pro-players retired weren't allow to teach/guide the youth because they didn't have a license. This resulted in so much insight knowledge lost for these players were not allowed to teach the kids. frank schoon replied, August 17, 2018 at 10:09 a.m. Thus anyone detect the CONTROL element involved by Romeyn not allowing a C-licensed to coach. Because if he allowed it, the structure/control would fall apart. These people ,the administrative types love their control for that is how they can exist but they don't do anything for soccer.....just look at what we have accomplished in the past 50years in the technical development of players....today ,players can't even make a decent cross. They only advancement in player skills has been through the "Coerver" program, of which I'm not a great fan of but it is better than nothing. Even Wiel Coerver is no lover of the Dutch Coaching program. He blasted the Dutch KNVB for teaching and licensing coaches who can't even teach skills. He thought the KNVB was a joke. Over the years the dutch KNVB has reaped off the success of Cruyff, Michels, Ajax and '74 Dutch team of which themselves have never contributed anything too. Philip Carragher, August 17, 2018 at 10:17 a.m. If I could have confidence in the coaching abilities of those requiring licensing, then maybe this discussion deserves more of my attention and input, but I can't get passed that. My son played Academy for a coach who not only has an A license, but who also hands out A licenses and his coaching was sorely lacking. I have yet to witness good soccer anywhere here in the US that follows an intelligent curriculum with coaches that can implement it at all levels. In some instances, the curriculum is good and maybe there is a coach or two that can implement it, but if important conditioning/skills/tactics/match play are not reinforced by subsequent coaches with players able to perform at those levels, all gets forgotten. frank schoon replied, August 17, 2018 at 10:54 a.m.
Phillip, Arie Haan , a teammate of Johan Cruyff ,once stated that you can acquire all the licenses you want but real coaching is the ability to "SEE" the game. You can read as many books ,go take all the coaching courses, go to all the seminars, but it all about able to "seeing" the game. That is why Cruyff can watch along with 20 other professionals in a room the same game and he sees so much they don't "see"....how can that be? That is a quest that I've been trying to achieve ,able to 'see" the game. That is not easy. That's what made Cruyff one of the most smartest and intelligent players in the world. He would tell his players during the game what to do where to go because he saw things sofar ahead that his teammates didn't see. andres felipe quiroga, August 17, 2018 at 10:47 a.m.
frank schoon replied, August 17, 2018 at 10:56 a.m.
s fatschel replied, August 17, 2018 at 1:35 p.m.
AFQ. Just as a point of reference its not uncommon for training in other fields to be $600/day. So the cost may not be out of line for 12 days, it's just the less expensive C license should be acceptable for the vast majority including U12 DA. don Lamb, August 17, 2018 at 1:22 p.m.
Great questions and line of questioning. Weak and uninspiring answers from USSF. As much good as we are seenig re: development academies and player development, our formal coaching system is a hinderance to growth in these areas. s fatschel, August 18, 2018 at 12:28 p.m. There's a 2016 SI article with the same guys stating the B is for U15 to U18 elite. The C is for the rest of U15 to U18. No mention of U12 elite requiring B. Seems like they are changing the system constantly which means they don't understand the USA market. I don't think they should bring over guys from Europe. Just use them as consultants. Bob Ashpole replied, August 18, 2018 at 11:52 p.m. I agree with you completely. US coaches need these opportunities to develop professionally. The supposed change to the intent for the B, surprise, coincidentally matches the change in the age range of the USDA. This is simply about control. I say supposed because the USSF website still describes the B license as for coaches of 11v11 teams which is not U12. What has changed is 1) the description of the C which now simply says that it focuses on "core concepts of coaching" which seems to me intentionly vague, and 2) the youth national license is now the A youth license and there is a separate A senior license. I cannot remember what year that they redid the higher level licenses, but I think it was 2 years ago. Another example of control games, all the licenses are now called "national" licenses even though the state organizations handle the lower ones. No more state passes. frank schoon replied, August 19, 2018 at 8:51 a.m.
Bob, You hit the nail right on the head ....CONTROL!! You know what they did with Cruyff when he had no license and was working with Ajax as coach/trainer the KNVB would send people over there to watch so he won't break the rules about coaching and training the Ajax players. This is what this is all about CONTROL!! Can you imagine if Cruyff didn't fight this and just left Ajax and stayed home what the world would have lost as far as what he has done for soccer and all the other positive benefits...in other words since '89 to the present we have had revolution in how soccer is played in coaching and in thinking due to Cruyff . We would not have had Guardiola and what Barcelona has done and the resulting ripple effects. I agree there is nothing wrong with taking coaching courses if you think it can help you and it can bring you one up on you competition between coaches...Great , no problem and leave it at that, but that is not what the USSF and the administrative want. Allow the market place to decide how good you are as coach/trainer and if taking these courses can benefit you...fine. But that is not happening, they want control and force you to take courses, why?...MONEY! To be successful in running this institute you need control in order to force you to take this courses. You have to allow the creative element to flourish and that is not done by cutting down various channels where creativity can have its inputs. Ric Fonseca, September 6, 2018 at 10:20 p.m.
FRANK SCHOON FOR USMNT HEAD COACH!!! YES, BRING BACK THE DUTCH METHOD!! !